Where Does Yellow Mold Usually Grow? 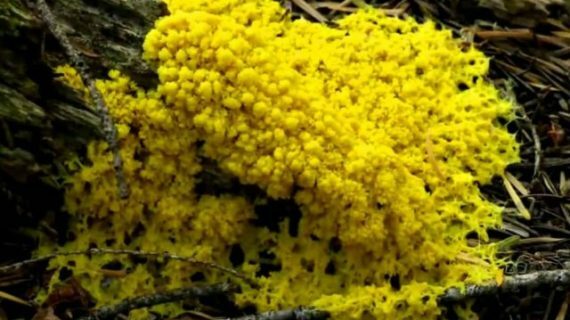 Why Does Yellow Mold Grow? 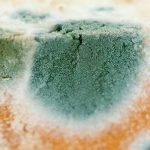 Yellow mold (also Orange Mold and Brown Mold) is one of the most common colors of mold that you will find in homes, on food, and in nature. These molds like to grow in areas where the environment is cool and damp. That is why finding it under a sink, down in the basement, or along a window frame is very common. 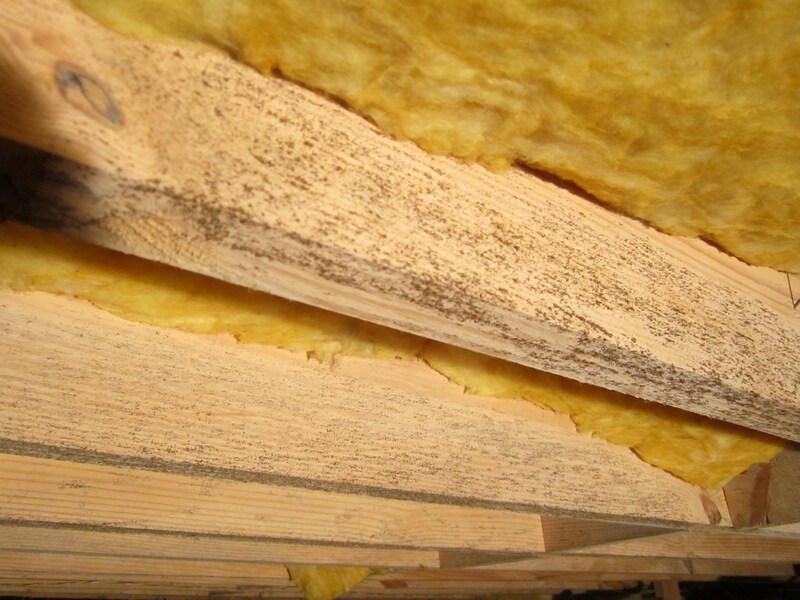 Although wood and organic matter hosts yellow mold most often, it can grow anywhere. Homeowners have even found yellow mold on walls, on tiles, and even growing on their soil. That is why it is important to know what you can about yellow mold, so that it can be safely removed. There are several different molds which may appear to be yellow in color. 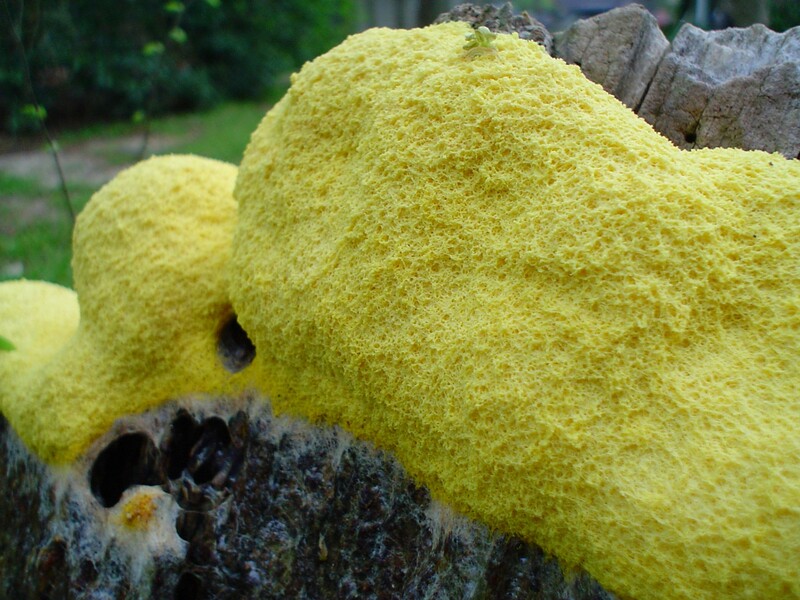 The most common form of yellow mold is called serpula lacrymans. This type of yellow mold feeds off of decaying organic materials. When it forms along a damp, wooden structure, it can deteriorate the wood over time to the extent that a structure would become unsafe to inhabit. Aspergillus is another common yellow mold that is found in homes. You will find this mold primarily indoors where there was recent water damage. Another type of yellow mold you may see is called meruliporia incrassate. This mold prefers to form on rotting wood and may cause wood to decay if it is found on the structural timbers of a building. You might also find leucocoprinus birnbaumii or fuligo septica outside some mornings in your yard or in a park. 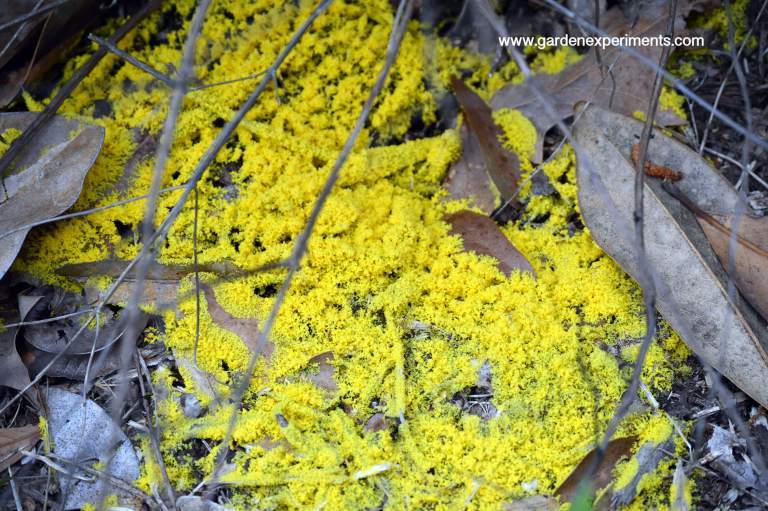 These are common yellow molds that like to grow on the surface of the soil. These molds are usually harmless, but they can be difficult to remove. Fermented breads are a popular place to find yellow mold growing. Even if the bread is in the refrigerator, any moisture that forms within the bag holding the bread will encourage mold growth in 1-2 weeks. Aspergillus is the mold which will usually grow on bread. It grows in many different colors, in addition to yellow, so you will see a rainbow of mold on your bread when it forms. Yellow mold likes to grow on wood because it gains access to organic materials that it likes to use as an energy supply. It will grow rapidly when there is decaying wood around. For most homes, the presence of yellow mold on wood is not a threat. You should use an anti-mold agent to remove it, but that should be the extent of the work which needs to be done. Yellow mold is not as dangerous as black mold when found in the home for most households. 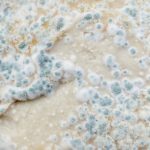 Because yellow mold forms in high moisture environments, it is imperative to find the source of moisture to prevent the mold from growing again. Yellow mold found in an attic, for example, is strong evidence that the roof may be leaking. Basements have humidity levels which are naturally high because of their placement in the home’s structure. Most homes keep a hot water heater, a washing machine, and a dryer down in the basement as well. These appliances all contribute moisture to the darkened environment where yellow mold likes to grow. An easy way to prevent mold growth in the basement is to install a dehumidifier. It will pull the extra moisture from the air, providing less fuel for the molds which are trying to grow. The multiple types of organic materials found in mulch make it the perfect growing spot for yellow mold. When it grows on mulch, it tends to look more like a slime mold because of its exposure to the various elements. It may even look more like vomit than mold when you discover it outside. 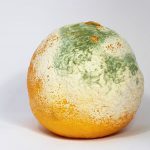 Although this mold may look unpleasant or worrisome when you see it, the growth is just part of the composting process. If you want to get rid of this mold, just scrape it away. If you find it in your compost pile, then make sure you turn the compost frequently and give it more air. This will allow more of the moisture to escape, which will work to prevent the mold from growing. 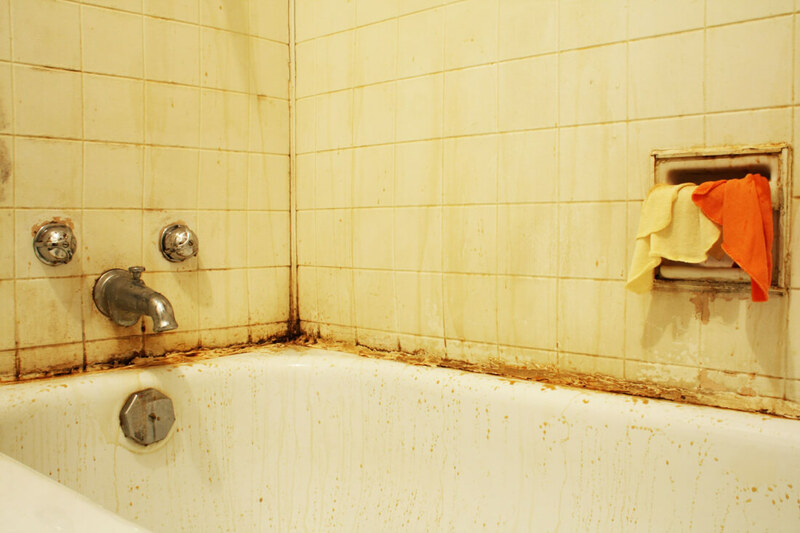 Yellow mold likes to grow in the bathroom when it has access to soap, shampoo, or dirt residue. That is why you will find it growing in and around the bathtub. Shower curtains, bathroom tile, drywall, and along wooden trim will often see yellow mold begin to form over time. The most common reason you’ll find yellow mold in the bathroom is a lack of moisture venting. If you take several showers per week, the moisture from that shower lingers on the drywall, tile, and floor. When this moisture combines with the soap and dirt residue, it will act like a buffet for the mold spores hovering in the air. To get rid of this mold, a standard cleaning agent will work. An anti-mold formula will restrict its future growth. Improved venting is the only way to be proactive about stopping its formation in the first place. The reason why yellow mold in the bathroom happens is the same reason why it will grow on walls too. When there is a room that has high levels of humidity, low levels of sunlight, and a lack of air circulation, you will find yellow mold on the walls. If you find yellow mold on a wall, it must be removed immediately. The mold can work its way into the wall, even going through wallpaper or plaster, to begin the process of structure decay. Many commercial potting soils do contain yellow mold. 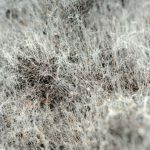 When you use the soil with your house plants or garden, you may see the mold begin to grow on the surface near the plant. If you allow it to progress through its growth cycle, you will see the mold begin to transform into mushroom caps that are bright yellow. The issue with yellow mold on soil is that when you remove it, you’re making more room for new growth. To deal with this issue, an anti-mold agent must be placed on the soil to restrict growth. Yellow mold grows like every other type of mold. It reproduces by creating spores, which are then carried by the wind to a new location. If the spores land somewhere that is dark and humid with a food source, then it will begin to grow. Any organic material is a potential food source for yellow mold. Most yellow molds prefer wood products, but it can grow on carpet padding, dust, or clothing. Once the yellow mold spores have found a suitable location, growth can begin in as little as 24 hours. Some yellow molds take up to 10 days to start growing. It will grow fastest in a temperature zone of 77 to 86 °F, or 25 to 30 °C. Yellow mold can be very stubborn. It is resilient to most cleaners and will return, even if you scrub the surface where it is growing. One of the best ways to get rid of outdoor yellow mold is to simply move it whenever possible. Take it out of your garden, then place it someplace else. You could even scoop it into a garbage bag, then send it out with the trash pickup for your area. To remove indoor yellow mold, you must remove one of the requirements for mold to begin growing. That means you must remove the food source, the temperature, or the moisture from the environment. To clean yellow mold, youmust have an acidic cleaner to clear current mold growth. One easy natural cleaner to use is vinegar. You can apply straight vinegar to a moldy surface, then wipe it away with paper towel. Then place the used paper towel directly into a trash bag. If the mold growth is extensive, you may need to scrub the surface with a stiff-bristled brush to remove all the yellow mold elements. Then spray the area with a commercial-strength anti-mold agent. You can also use a 1-part vinegar, 3-parts water spray solution to prevent mold growth in common areas. Just spray the solution directly onto your tiles, walls, or fixtures and allow it to dry. If you don’t like the smell of vinegar, then baking soda or hydrogen peroxide are effective cleaning agents that will kill yellow mold as well. Before using these items, test a small surface area where the yellow mold is growing to ensure you won’t damage it with the cleaner you’re using. When you find yellow mold on food, just remove it from the kitchen. You can compost these food items if you wish. Otherwise, throw it away. Then clean the area where you found the moldy food, even if it was covered, to prevent future growth on other foods. Preventing yellow mold (also White Mold, Red Mold) means you must alter the indoor or outdoor environments where it is growing. These simple steps will prevent many mold growth issues from occurring. 1. Dry any wet areas that you see immediately, because yellow mold cannot grow without moisture. 2. Ensure that proper ventilation is present in each room to prevent moisture buildup. 3. Install mold-resistant products, such as mold-resistant drywall, in basements, kitchens, and bathrooms to inhibit growth. 4. Monitor your indoor humidity levels to prevent them from going to high. Your home should not have a humidity level that is higher than 60%. 5. Keep water away from your home whenever possible. Look for places where water likes to collect, then make changes that direct water away from those areas. 6. Keep your gutters in good repair. Check for roof leaks at least once per quarter. 7. Improve air flows through your home by moving furniture away from the walls, opening the doors to closets, and letting fresh air in every day. 8. Clean your house plants regularly if you see mold beginning to form. There is a good chance that you’re breathing in yellow mold every day. Most people can be exposed to yellow molds without experiencing any negative symptoms. Yellow mold is a health concern for people who have a weakened immune system. It can also be problematic for individuals who have existing lung or breathing problems, such as asthma. In these individuals, a disease called “aspergillosis” may form. With aspergillosis, the yellow mold stimulates inflammation within the air passageways. This may cause sinus discomfort, coughing, wheezing, and trouble breathing. In serious cases, a disease called chronic pulmonary aspergillosis may occur. With this disease, the yellow mold begins to form in the lungs. It will carve out pockets of lung tissue to allow room for the mold to grow. The primary concern with yellow mold is an allergic reaction. Many people have a mild allergy to Aspergillus, which may cause a sore throat, hives, or an itchy rash that may resemble a psoriasis outbreak. If you are exposed to yellow mold and have symptoms that are similar to these, taking an anti-histamine medication may help. Be aware of any swelling that occurs in the neck, throat, or face. This could be a sign of a severe allergic reaction that would require immediate medical help. This guide should not serve as a substitute for professional medical advice. If you experience physical symptoms that you believe are associated with yellow mold, then you should to your doctor about them. Yellow mold is like another mold too, say Pink Mold, Black Mold, Green Mold, (sometimes) they can grow quickly. It likes to grow in many different places. You will find it in your garden, in your kitchen, and in your bathroom. It loves to grow in basements all over the world. For most households, finding yellow mold is not an issue of concern. Clean up the mold, then be proactive about keeping it away. This will allow you to prevent its growth. Next PostWhat Does Mold Smell Like?